Created by Jessica Gonzalez of New York cocktail mecca Death & Co., the vampire blues might be the finest Halloween cocktail we’ve ever tried. Granted, many other drinks of this variety sport electric gummy worms and plastic monster teeth, so please factor the competition level into our acclaim. The coolest thing about this drink is its ingredient list, which is seasonal but not corny and playful but not pretentious. 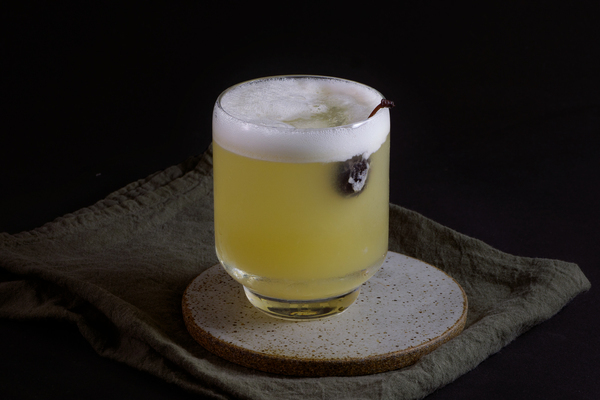 Built on a humble whiskey sour, the vampire blues levels up with a powerful blast of autumn spice. The scent is a heavenly combination of cinnamon, sherry, and baking spice. The use of pumpkin butter gives the body a creamy depth, and the lemon creates a crisp tartness on the tongue that teams up nicely with the sherry and bourbon. 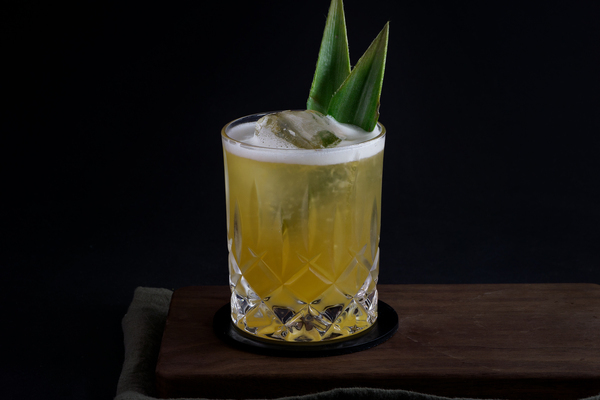 The drink is a natural born people pleaser: incredibly palatable, exceptionally balanced, and surprisingly bright. Pumpkin butter is not always on store shelves, even in October. We’ve found apple butter to be a fabulous and seasonally appropriate substitute. Swap it in without any regrets. 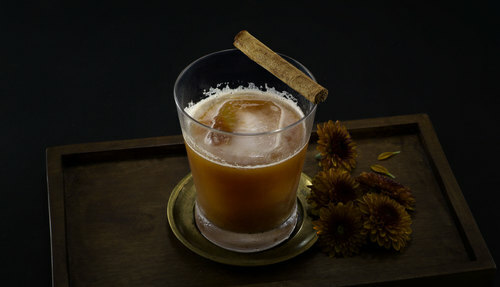 During the holidays, we’ve made this drink with pear butter for a magically deep and wintery result. The original recipe calls for East India Solera sherry, which combines sweet Pedro Ximenez and dry Oloroso and ages them for three years. We’ve never owned a bottle of Solera, but have used both amontillado and dry sherries in this drink with great success. Some people recommend using a bit of simple syrup to offset a drier sherry, but this drink is naturally so smooth and agreeable, you may not need it. 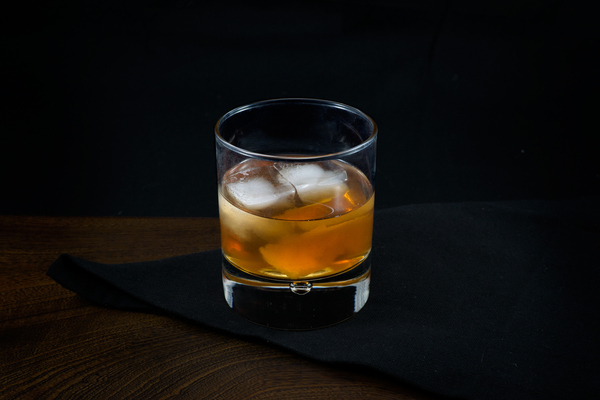 Bourbon is the requested base spirit, which makes sense with all the sweet ingredients in this drink. That said, rye works great too and adds a nice spicy edge .